Aspire to Inspire Classroom Resources: Freebies! 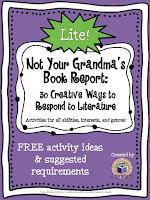 This list of 30 creative alternatives to the traditional book report emphasizes multiple intelligences and student imagination. I've included suggested requirements for each project that can be transformed into rubrics for assessment. 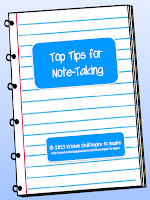 This printable is a "Beginner's Guide" to note-taking. It introduces how to take meaningful notes, paraphrase, and cite sources with a focus on note-taking from written materials and Web sites. A definition and examples of plagiarism are included as well. Great to use for mini-lessons and to complement to research projects. 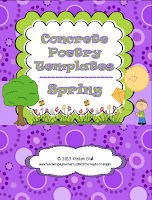 These 8, lined templates complement introductory lessons on concrete poetry. They can be used in a draft or final publication stage of the writing process. Each template is a spring-themed object: sun, star, rain, ice cream, tree, cloud, butterfly, and lightning. 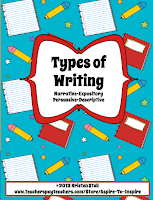 Students can regularly refer to this attractive handout that gives simple definitions for the following types of writing: narrative, expository, descriptive, and persuasive. Great for use with Common Core writing activities. 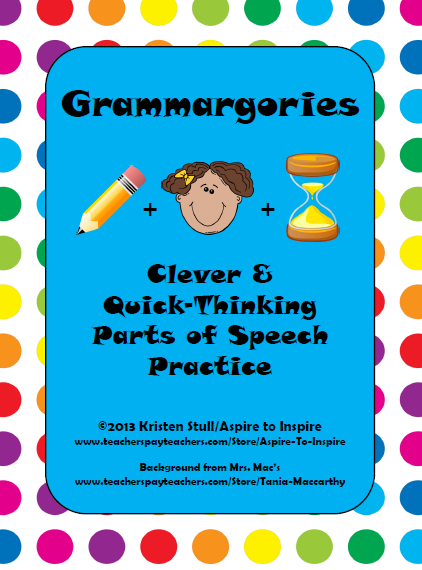 Looking for an entertaining and challenging grammar activity for your students to apply their knowledge of parts of speech? 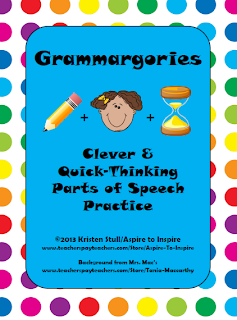 Grammargories is the perfect activity! Inspired by the game Scattergories, students try to beat the clock as they complete lists with parts of speech related to the lists' themes.